A crop of Tom Whalen’s new poster for Rogue One: A Star Wars Story. 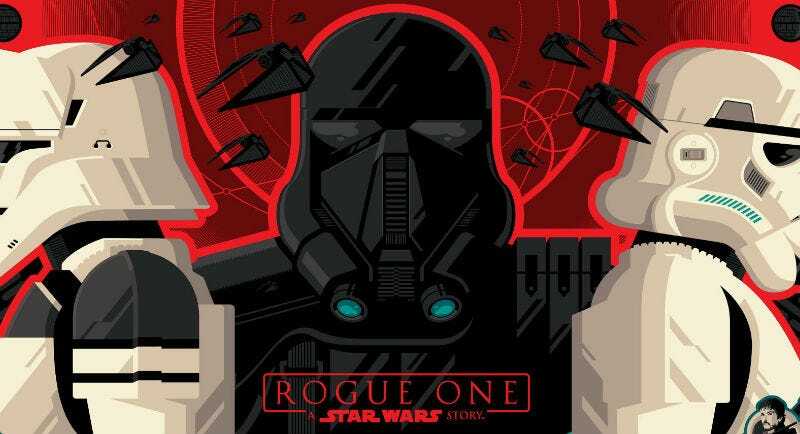 This one is from artist Tom Whalen, who—in conjunction with Lucasfilm, Acme Archives, Bottleneck and Pulse Galleries—will release a poster based on the hit 2016 film on Thursday, November 15. io9 is excited to exclusively debut both versions of the poster, starting with the regular edition, which is a 24 x 36 inch fine art print in an edition of 295 that costs $50. And here’s the variant, which has a UV embellishment, in an edition of 150. it costs $55. Both posters will go on sale at noon EST on November 15, at both Darkinkart.com and Bottleneckgallery.com. Now, if the poster looks familiar, it’s not because you’ve seen it before. This is a brand new poster. But the art was repurposed from something you may have seen when Rogue One was in theaters. Whalen regularly works with Mondo, Gallery 1988, and other pop-culture art outlets—but, oddly, he’s only done a few Star Wars posters in the past. That’s not a knock on the franchise, though. 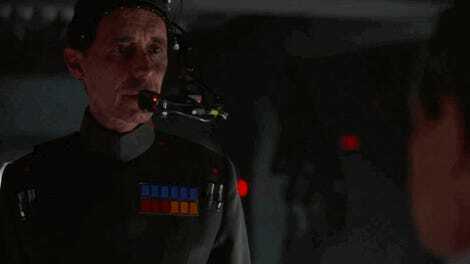 Like many of us, it was formative in his childhood and he dreams of doing another Rogue One poster. Correction: The original article listed this as a screen print but it is, in fact, an offset lithograph on 100lb Neenah brand, natural textured paper.